Returning to Loudon Park Cemetery, today we look at the grave of the man who took over command of the 1st MD Battalion (which later became the 2nd MD) when Lt. Col. James Herbert was wounded on July 2 at Gettysburg: Maj. William Goldsborough. Born in Frederick county, he worked for a time as a printer in Baltimore before heading south to join up with the Confederacy when the war started. 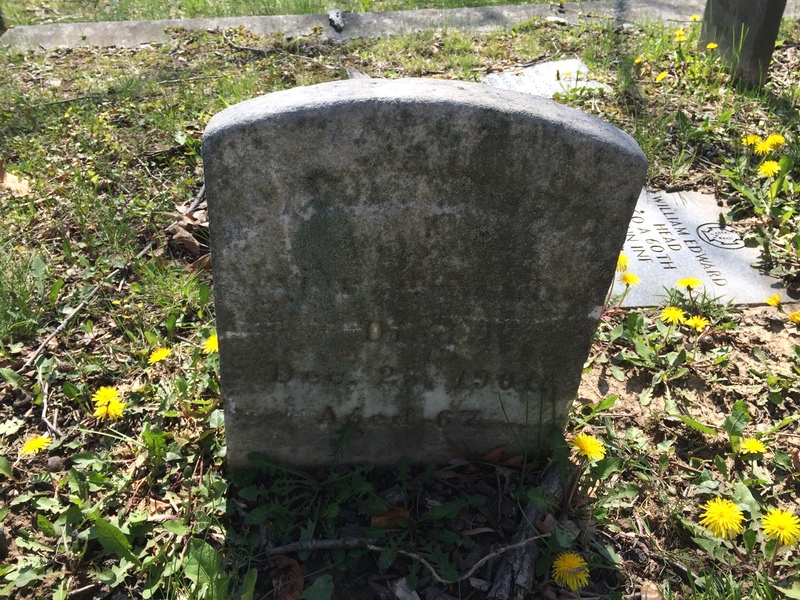 His brother Charles made the opposite decision, serving with the 5th MD as an Assistant Surgeon. They would meet a few times during the war, but not at Gettysburg. At Gettysburg, Maj. Goldsborough was second-in-command of the 2nd MD during the attack on Culp’s Hill. When Lt. Col. Herbert went down with his serious wounds, Maj. Goldsborough took over and led the unit in the fighting on July 3 until he too was wounded – shot through his left lung. 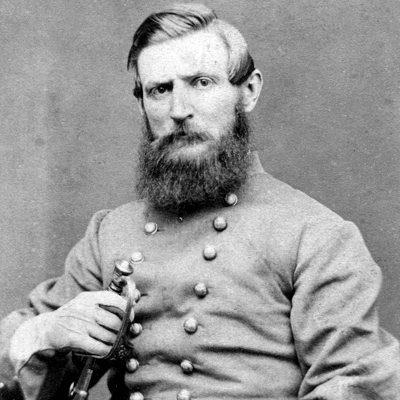 When the Confederates were pushed back, Maj. Goldsborough became a prisoner, as well. After recovering from his wound, he was held in the prisons at Ft. McHenry and Ft. Delaware. In late 1864, he was transferred to Morris Island where he became one of the Immortal 600. He would remain in Union prisons for the rest of the war. After the war, he wrote a book about the wartime service of the Maryland Line. As you might imagine, the 2nd MD at Gettysburg gets some coverage there. 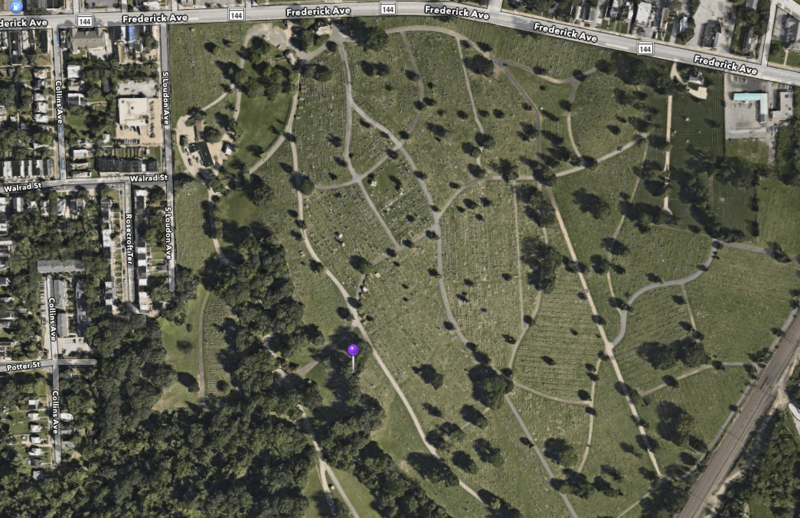 Location of William W. Goldsborough’s gravesite. Map by Apple Maps. 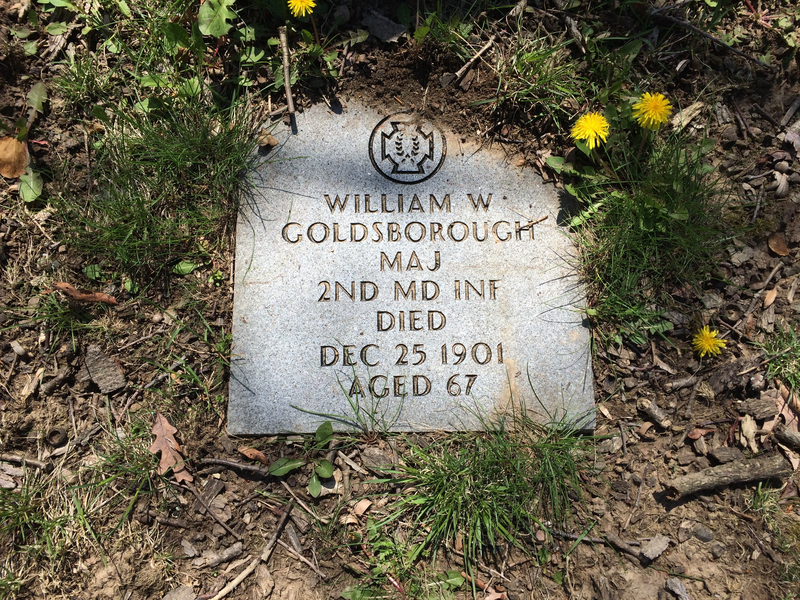 William W. Goldsborough’s Original headstone. The effects of time have worn hard. Photo by the author. A newer, much more legible stone is in-place, though; as it is for most of the graves on Confederate Hill. Photo by the author.